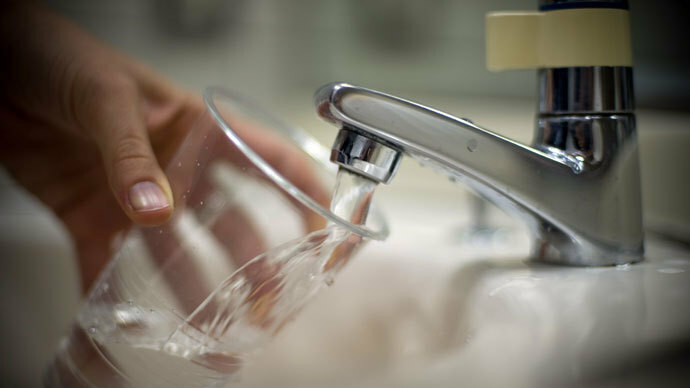 Tap water in nine counties in West Virginia is still off limits, the governor said, as almost 800 people called a local poison center reporting illnesses, while residents spent a third day unable to drink from the faucet, or have a bath or shower. A state poison center has handled 787 calls from people reporting nausea, diarrhea, headaches, skin irritation and rashes, as well as 54 calls from worried pet owners. The center brought staff back from holiday early and is operating 16-hour shifts to help cope with the surge in demand. A further 90 people have showed up at hospitals, with five actually being admitted, although the center stresses that in the vast majority of cases people can be treated at home. 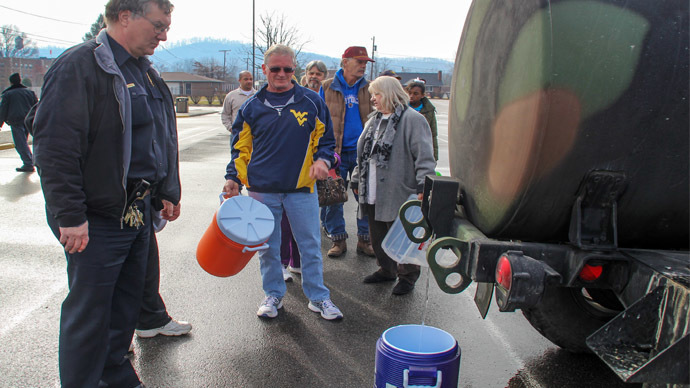 State Governor Earl Ray Tomblin said that officials were continuing to test the water regularly and purge the water system to flush out the harmful chemicals. “We will let you know as soon as the water company lifts the ban. Please remain patient and keep checking on your neighbors,” Tomblin said at a news conference on Saturday night. 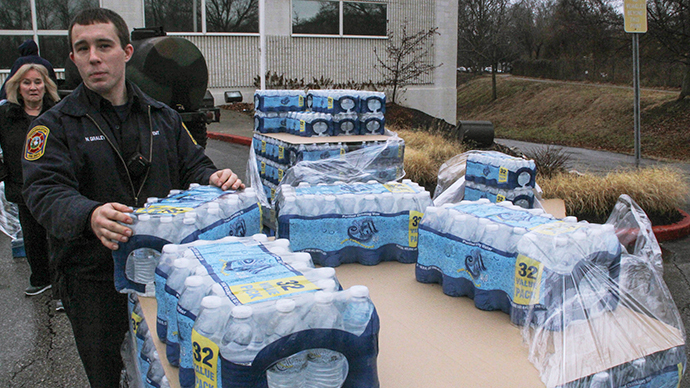 The governor has requested more bottled water from the Federal Management Agency, and although many shops have sold out, distribution centers remain open. 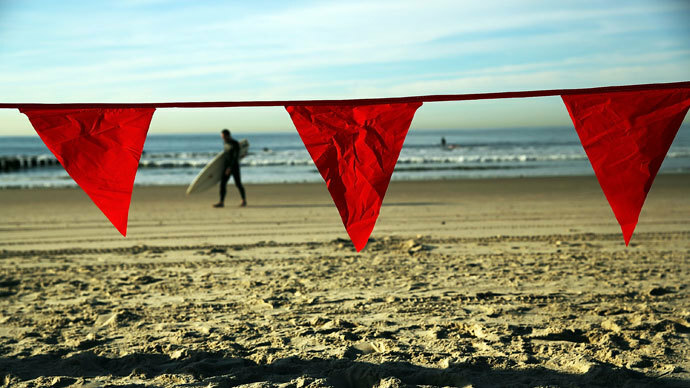 On Friday, President Barak Obama declared a state of emergency in the nine counties affected by the spill and sent the Department of Homeland Security and the Federal Emergency Management Agency (FEMA) to help provide disaster relief. The National Guard announced on Saturday that tests showed the level of contamination was falling, but that the water was not yet safe to drink. Jeff McIntyre, president of West Virginia Water, said he expected the water to be safe in a few days, but was unable to be more specific. The spill occurred on Thursday at a facility in Charleston run by Freedom Industries and involved methylcyclohexane methanol, which is used to clean coal. Methylcyclohexane is dangerous in high concentrations and if breathed deep into the lungs it can cause pneumonia. The effects of prolonged exposure are not clear, according to the Occupational Safety and Health Administration. The leak has affected 300,000 people but businesses have also been knocked out of action, with restaurants being told they cannot open unless they have access to an outside water source. “We’re moving into a phase of emergency, not only the contamination of the water, but also the health and nutrition and safety of individuals. As well as the economic loss and the employment of several thousand individuals,” Dr. Rahul Gupta, director of the Kanawha County Health Department (one of the counties affected by the spill), told the Charleston Gazette. Meanwhile, the Feds have opened an investigation into what caused the spill. Officials do not yet have any answers regarding what might have caused the leak, or even for how long it lasted, or how much leaked. A team dispatched by the US Chemical Safety Board will arrive in West Virginia on Monday to investigate what led to a leak of such proportions.